Q1) What is your IGN? Q2) What is your Discord IGN (with tag)? Q3) How old are you? Q4) What timezone are you in? Q5) Do you have a working mic? Q6) How long have you been a part of our server? I have been part of your server before the minecraft server opens. I was on your discord server for like 2-3 months. Q7) Are you currently staff on any other servers? Q8) Do you have any previous staffing experience, if so, what? Yes i had. I used to be staff on 2 servers. One the one i was Admin and on the other i was Head Manager for about 3 months. I am used to moderate chat and keep it under control. I also know how long to punish people for breaking rules that have to do with chat. Also i have quite a bit experience about punishing hackers. I know lots of hacks, like kill aura, anti knockback, Auto click, X-ray, Fly and many more. I also know how long to punish them for each hack. So i think my experience about staff is pretty good. I can play every day 4-5 hours maybe 6 hours a day. I fi have a lot of homework to do I usually go online for 3 hours maybe 4 hours. 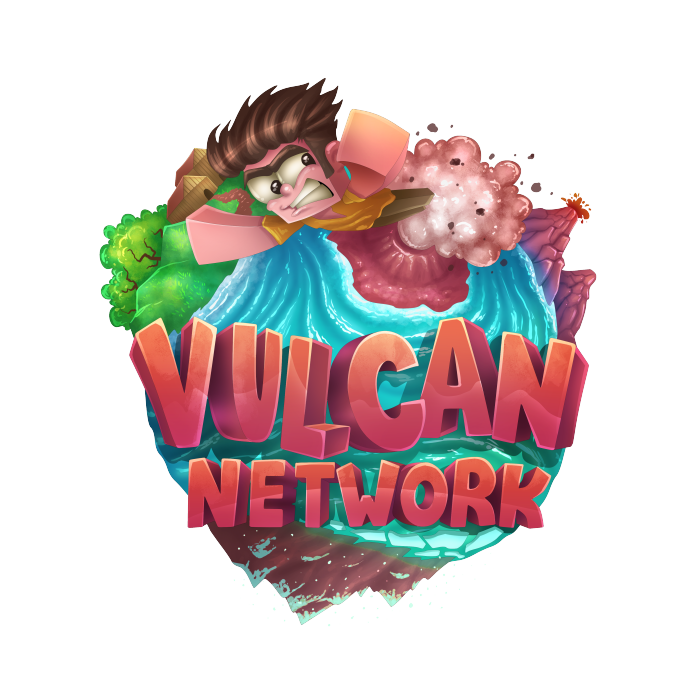 Q10) Have you had any punishments while playing on VulcanMC? If so, when and what were they? No i never got punished while playing on your server. Q11) Why do you want to become a Trainee on VulcanMC? I want to join you staff community because i am very friendly i like helping people out with they're problems, giving them useful advices and much more. I was playing on an other skyblock server i used to help them altough i wasn't a staff member when there was no staff members on after that i contacted a staff member and report to him what the players problem was. Generally i am very friendly with other people i am talking to them nice even if they are talking trash to me. To finish i think i will become a great staff member on your server and help the comumunity.! Q12) Why do you stand out to other applicants? I have a lot of experience about staffing moderating chat, punishing hackers and other stuff. As i said i am very friendly with other people and pretensed to help them with their problems and give them advices. I also can write very fats and i think this is an advantage and it helps answering peoples questions quicker.I think these things make me stand out to other appplicants but to be fair mine isn't the best staff app. the others are good too. Q13) You are on the server and the only staff member online, multiple players begin disrespecting each other, swearing and insulting each others mothers, how do you defuse the situation? So first i would take a screenshot of the conversation. After that i would talk to them and ask them why are they so disrespectful to each other. If they would don't mind me and ignore me i would warn them for Player Disrespect. If they keep doing it and swearing at each other, i would mute them for Player Disrespect. After the mute if they haven't learned their lesson i would contact a higher staff member and send him the proof screenshot of the conversation and tell him to come help me with the issue. Q14) A player calls you a trash, useless and a stupid staff member, how would you react to this? First i would take a screenshot of it and then mute him for Staff Disrespect. After that if he would start again talking mean to me and start blaming me that i punished him for no reason i would show him the proof screenshot. If he would keep talking trash to me i would ignore him. Q15) Your best mate has just come on to Vulcan using a hacked client. They jump down into PVP and start using Kill Aura. You have of them hacking, but they are your best mate. What will you do? I would ban him as long as he must be banned for the hacks he was using. If he would go and make a ban appeal saying that he want to be unbanned because he wasn't hacking i would show him and the other staff that he was hacking and end the issue. Throughout your application there are a few grammatical, punctual, and spelling errors, some things can involve capitalising of the letter "i" in singular usage. I feel that you could also go into greater detail on many of your answers, such as going into real life or other experiences in past staffing positions, examples for this would be if you've ever had to deal with suspected rule-breakers on other servers and how you've dealt with with it then. Using a larger vocabulary would also work, such as removing the repetition of words, and finding an alternative way of putting your statement. Overall activity and community interaction on the server is great, and will drastically improve your chances. Summary - I appreciate your intentions and the fact that you have worked for other networks, and also your apparent skill when it comes to dealing with situations such as the ones stated in this application. However, I believe that you can improve in the area of maturity and in areas of grammar usage/spelling. Maturity - One big factor that the applicant must posses when he/she is trying to appear as worthy for the position they are interested in, is that they are capable of dealing with situations in a professional way. You can achieve this by observing and reacting to situation from a mature standpoint, which in this case is writing and submitting an application. Because of this, I don't recommend you use emojis within the application, as it gives the impression that you are unprofessional, because emojis are often used in casual environments, unlike that of an application for a staff position. Again, when you are applying for a working/volunteering position anywhere, you are directed to make professional responses and also clear ones. I will continue this discussion in the next section. - repeated words or phrases. Final Score - You have done a wonderful job on your application, and if you improve on what I suggested, I will raise my score. Great work and best of luck! Thank you for your comment.! About the grammar its normal i think. I checked it twice again before i sumbit it. I was tired of all the writing so i think i might have some small mitsakes. Maturity - One big factor that the applicant must posses when he/she is trying to appear as worthy for the position they are interested in, is that they are capable of dealing with situations in a professional way. And one of the aspects in this area is treating the situation from a mature standpoint, which in this case is writing and submitting an application. Because of this, I don't recommend you use emojis within the application, as it gives the impression that you are unprofessional, because emojis are often used in casual environments, unlike that of an application for a staff position. Again, when you are applying for a working/volunteering position anywhere, you are directed to make professional responses and also clear ones. I will continue this discussion in the next section. As i said at 1stuser's answer you are right i may have forgot to correct some mistakes. 1 thing i didn't said is that i am from Greece and i am learning but i have been talking so much on other games and i am learning quickly. This is a great application the problem is question 12 and 11 can be chamge with more detail. So, the application was overall good but all I suggest you doing is to inprove your grammar, although you are from Greece learning, I then suggest you take your chance to apply when you have gotten used to english for a higher acceptance rate. But I think this application is great so good luck! Hey AssistantFna! First off, thank you for applying to VulcanMC's staff team. Unfortunately, after reviewing your application, I have come to the conclusion it will be denied. What went wrong and chat you can do to improve it. One of the reasons behind your denial is the large amount of grammatical errors within your writing, especially in Q11 and 12, where aspects of it did not make sense, and the grammar was incorrect. It is important our staff team have good grammar and command of the English language in order to come across professionally to players when assisting them. One thing that did impress me in your application was the answers you gave to the scenarios. I felt they were very accurate and roughly what we are looking for with the information you had when applying. However, I felt your questions 11 and 12 did not convince me and prove to me you are a good candidate for the team, which is what those questions are there for. You often repeated the answers to multiple questions or used similar wording, which I advise against when making applications. The more variety and points you give in your answers the better. Please wait until next season to apply again.